From the New York Times bestselling author of A Man Called Ove, My Grandmother Asked Me To Tell You She's Sorry, and Britt-Marie Was Here, comes a poignant, charming novel about a forgotten town fractured by scandal, and the amateur hockey team that might just change everything. At first, it seems like the team might have a shot at fulfilling the dreams of their entire town. But one night at a drunken celebration following a key win, something happens between Kevin and the general manager's daughter--and the next day everything seems to have changed. 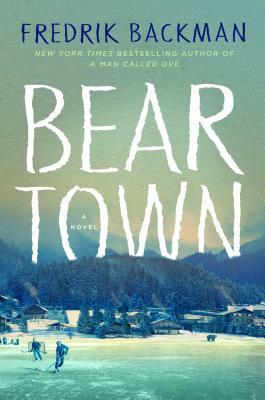 Accusations are made and, like ripples on a pond, they travel through all of Beartown, leaving no resident unaffected. With so much riding on the success of the team, the line between loyalty and betrayal becomes difficult to discern. At last, it falls to one young man to find the courage to speak the truth that it seems no one else wants to hear.